Australia’s popular self managed superannuation fund provides financial remuneration to its members in retirement. That’s the simplest way to explain it, however, it’s important to note that this super in particular differs from the others because the members are also the trustees of the fund. This means that all the investments that are made in the name of the fund are controlled by the trustees. They are responsible for making investment decisions and ensuring an investment strategy for their fund, but that also means that they will have a lot of administrative obligations that require providing financial statements, completing tax returns and maintaining records. That’s why many of the trustees ask for a Self Managed Superannuation Funds or SMSF specialists to help them manage their accounting and their tax reporting and provide them with investment and financial advice. However, before entering into the world of SMSF, getting to know the pension system in Australia is really important. The most common pensions in Australia are the public pensions and the occupational pensions. There are also personal pensions, although not many people turn to them. The public pensions can be earnings-related pensions, flat rate pensions, minimum pensions, basic state pensions or a means-tested pension. The Age Pension provides benefits for men and women over the age of 65. To be eligible for this pension you’ll need to satisfy some of the requirements. First and foremost, you have to be an Australian resident. Any person eligible for this kind of pension should make the assets test that can really affect the payment. The payment rates are different for single people and for couples. The rate depends on your assets as already mentioned above, your income and many other circumstances. The state also started The Future Fund into which the Australian Government deposits funds in order to meet the future liabilities for the payment of superannuation for retired civil servants of the Australian Public Service. The Act states that until 2020 money may not be withdrawn from the fund because the stated aim of the fund is to hold 140 billion A$. The Future Fund is also responsible for five other funds: Health and Hospitals Fund, Building Australia Fund, Education Investment Fund, Medical Research Future Fund and DisabillityCare Australia Fund. Benefits in these pensions are fully funded and portable. 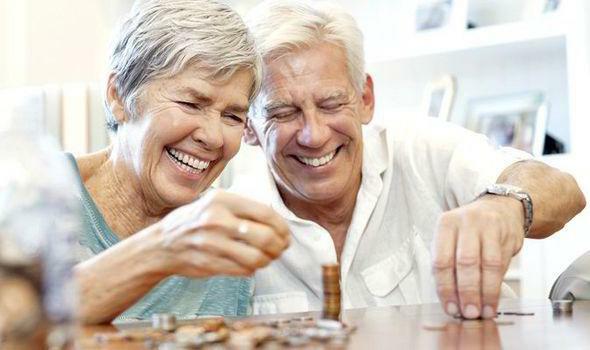 The payment is made in the form of a lump sum or annuity once members reach the age of 55 and are permanently retired. In 1992 the Australian Government made a contribution into the superannuation fund system mandatory for all employees older than 17 and younger than 70 earning more than 450 A$ a month. This is the defined contribution or the DC system that requires a minimum contribution to a superannuation fund. Before the DC was introduced, the DB schemes were the most popular form of occupational pensions. There are many types of Self Managed Superannuation Funds in Australia, like retail or industry funds which are offered to the public. Employees can make voluntary contributions and the employer contributions are the subject of an annual cap of 50,000 A$. They (the employer contributions) are tax deductible up to certain limits and employee contributions on the other hand have limited tax breaks. The pension system may sound a bit confusing for many, but once you start informing yourself about it, things will get clearer. The SMSF is the most popular form of super fund in Australia in the last few years and people seem very happy and satisfied by it. But of course, it’s always better to ask for a professional help that will provide you comprehensive support services.